For a customer I ran into a strange problem. 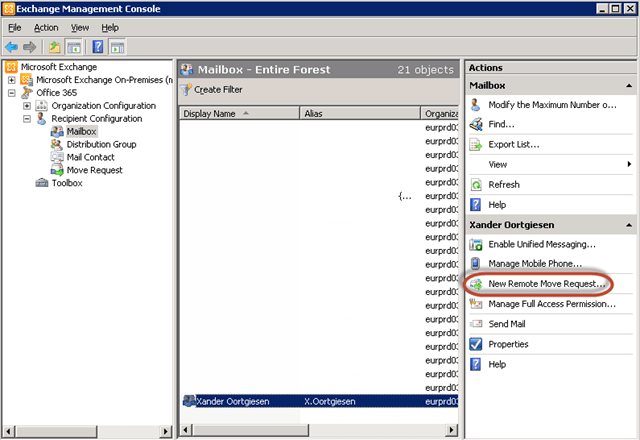 While doing a cross forest mailbox migration I noticed that mails were queuing up and were not delivered. It took some troubleshooting untill I found the solution. First I noticed that newly created users received email for several domains without any problems. 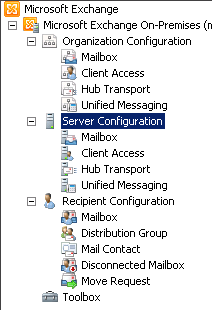 Migrated users didn’t receive any external email. I opened the user’s properties with ADSIEDIT and I noticed the old email addresses on the targetaddress field. 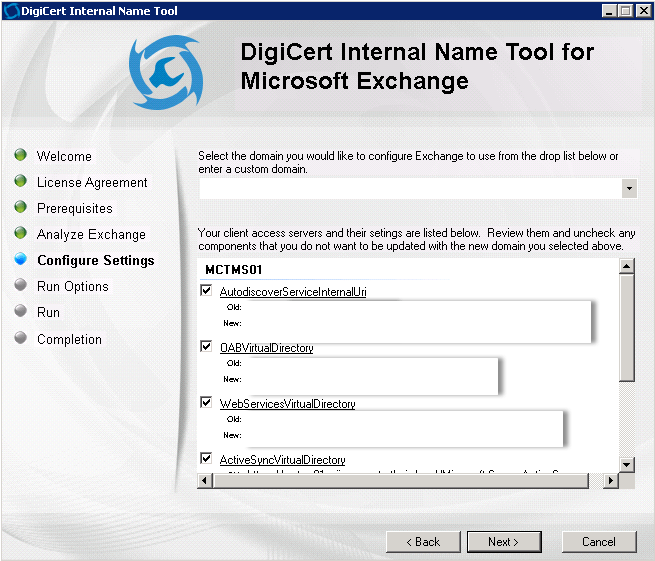 I decided to delete the values and re-register those email addresses using the Exchange console. The user concerned received external email immediately . 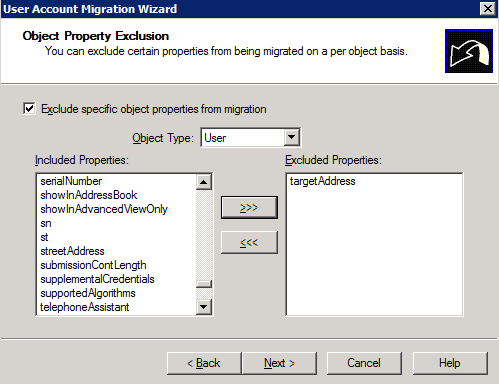 Because it’s a cross forest migration we are using ADMT for the user migration. 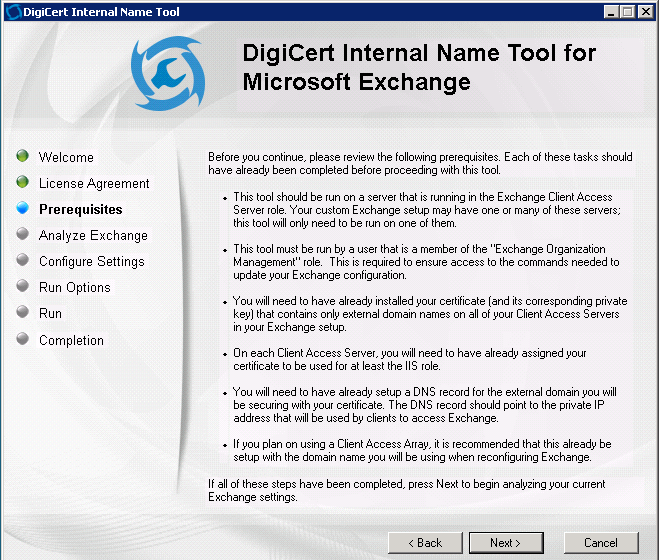 It’s possible to exclude this value and doing so will prohibit to these old values being migrated to the new domain. 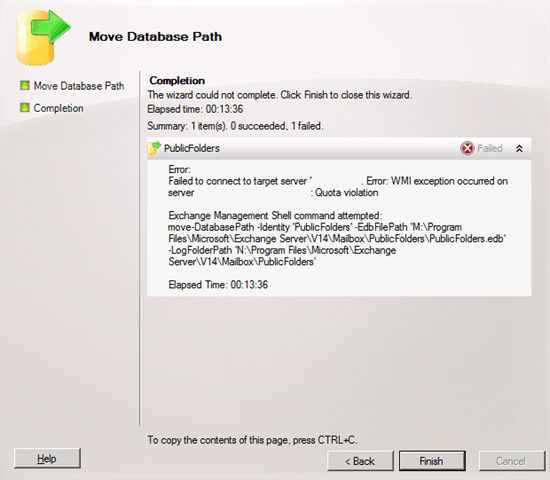 Exchange 2010 move database error WMI exception occurred..
After some investigation I noticed a large amount of log files. After enabling circular logging and dismount and mounting the database everything went fine! Disable circular logging afterwards and make sure your backup solution is running working and flushes the logfiles correctly. 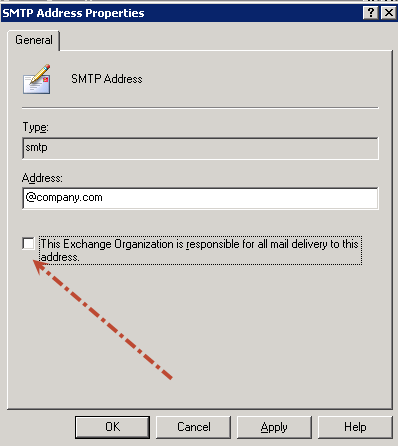 This is how to create a split SMTP domain using Exchange 2003 and another SMTP program like Exchange, Zimbra or something like that. Step 1. 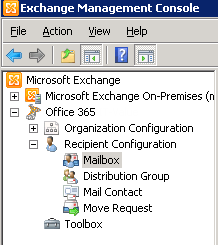 Make sure you’re MX-record is already point to your Exchange 2003 mailserver and that part is working. 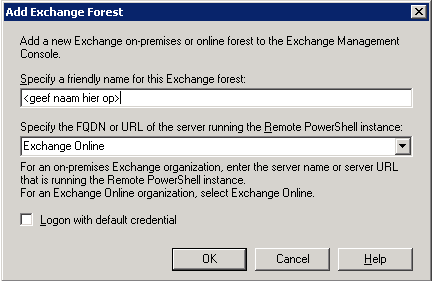 Fill the IP-adres in brackets  and select an Exchange 2003 server using Add. 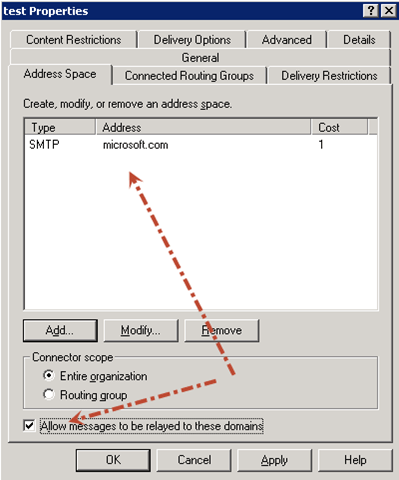 Goto Address space, add the new split SMTP domain and select the Allow Messages to be relayed option. 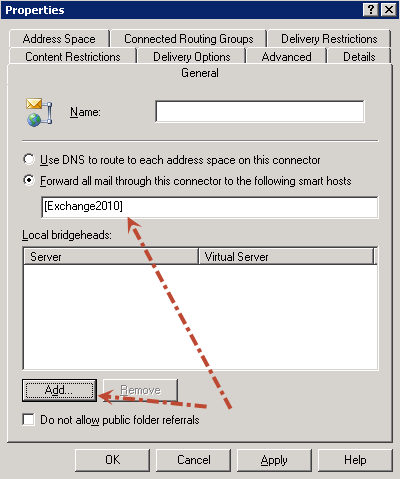 At this point the mail which can’t be delivered at the Exchange 2003 is being forwarded to the IP adres specified. 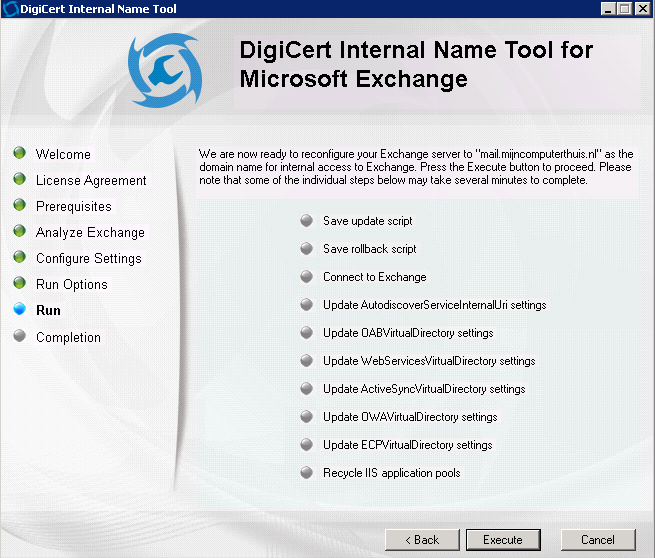 At this point you have to make a receive connector (Exchange 2010 for example) or something else. 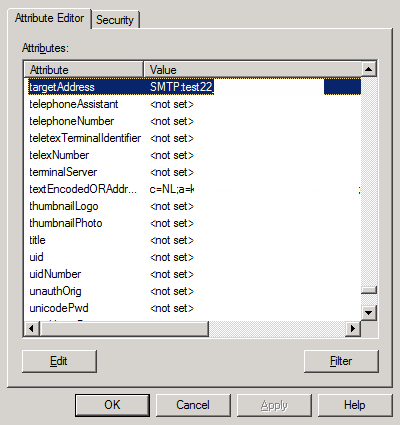 Active Directory operation failed on servername.domainname.local. This error is not retriable. Additional information: Insufficient access rights to perform the operation. In my case I was enable to move this specific mailbox. 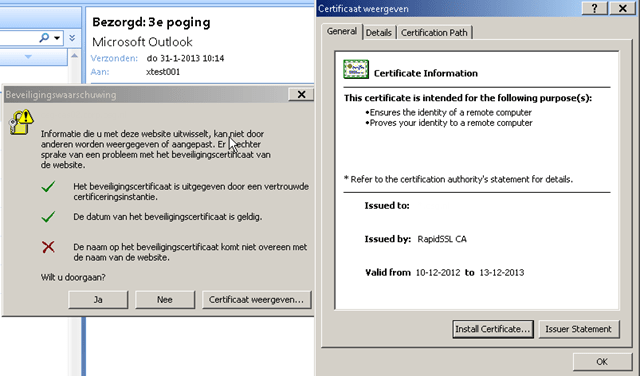 I knew I correctly imported the new SSL certifcate because I tested OWA before Outlook and that was working fine. The solution was simple. 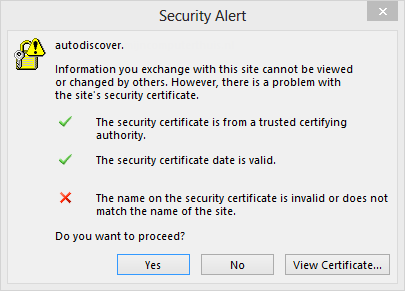 You must specify in Exchange which Exchange services (for example SMTP, IIS, POP, UM etc) must use which certificate. 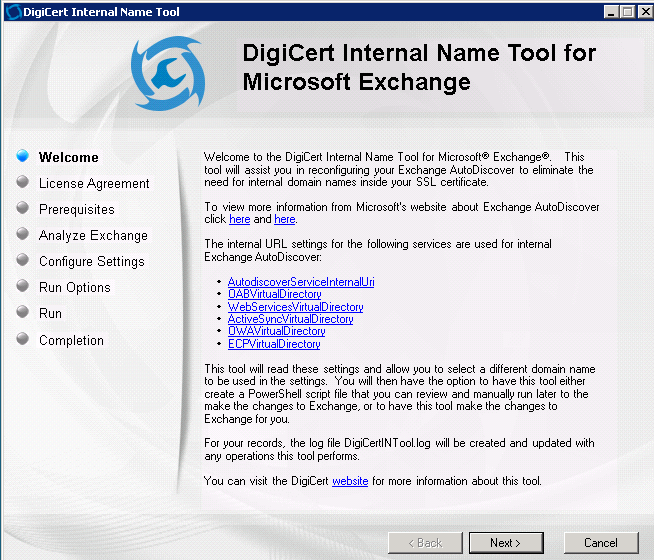 Assign Services to certifcate. 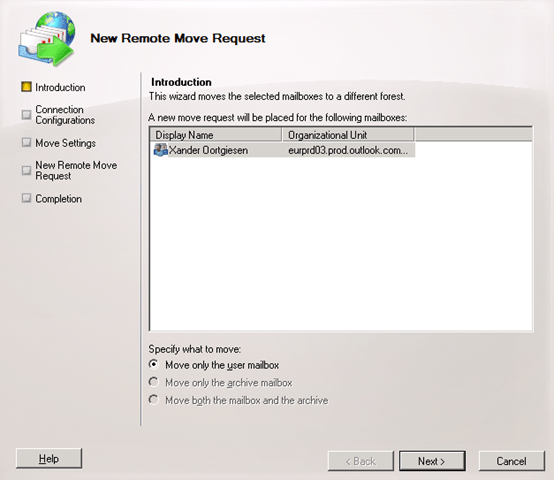 Make sure you select IIS and SMTP for OWA and Outlook functionality. In my case the Outlook error disappeared. 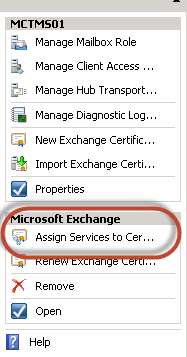 Today I installed a Exchange 2010 CAS cluster using (Windows) NLB. 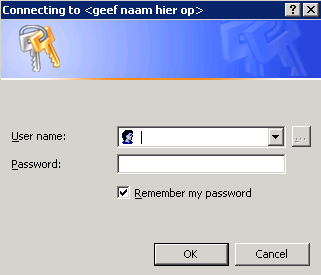 After some final preparation I followed Microsoft best practices for creating a CAS cluster. (Microsoft recommends creating a CAS cluster also when you’re only using one CAS cluster). 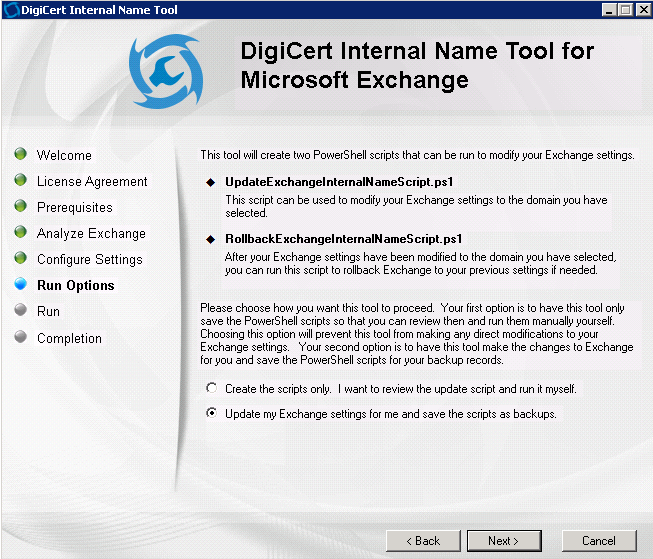 Exchange asked for your site name, you can find this name in Active Directory sites and services.